RESTON, Va. & CALABASAS, Calif.–(BUSINESS WIRE)–Avizia, powering system-wide telehealth, has announced its partnership with Aligned Telehealth, a leading behavioral healthcare services provider. “Aligned Telehealth offers a wealth of behavioral health services to patients, and we’re thrilled to support their telehealth consultations, regardless of healthcare setting or patient demographic,” says Mike Baird, founder and chief executive officer of Avizia. Organizations that use telehealth primarily use the technology to expand access/reach (70 percent) and improve patient outcomes (55 percent). The interest in using telemedicine to empower behavioral health programs is growing, as access to high-quality mental healthcare services becomes more challenging — especially for those in remote or underserved parts of the country. 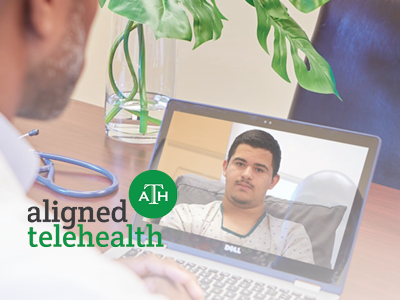 “As healthcare costs continue to rise, alongside the number of patients who need access to high-quality care, telehealth is a potential game changer,” says Dr. Nitin Nanda, founder, CEO and chairman of Aligned Telehealth.